Stained glass windows add both tangible and intangible value to your home. Something tangible can be touched– it’s a physical thing that people see, feel/touch, and, in some cases hear and taste, too. People have acute senses which need to be served and stimulated. We like to be around beautiful objects– tangible ones. But we also appreciate intangible value– which could be described as a generally positive feeling or impression something gives us. Think of your favorite brand of clothing and what they do to impact the world in a positive way. When a company donates some of their profits to charity, that’s a feel-good example of intangible value. Or how about when you visit a restaurant that offers something unusual inside, like a water feature or costumed characters? These “extras” stand the place out from other places and make them more memorable. Stained glass windows can be tangibly seen and they generally make people feel good. They help create a positive impression of a place. Think of the times you’ve walked inside of a church or historic building where the sun shone through colorful stained glass– wasn’t it a majestic scene? Stained glass is definitely more impactful than plain glass. It’s meant to be– the intangible value of it means it’s going to elevate the mood and emotional feelings of the people who see and experience it in all of its glory. Stained glass is often artistic, in the sense that it depicts religious scenes, nature scenes and/or custom ideas put forth by those who had it commissioned to reflect their beliefs, hopes, desires, personalities and preferences. Stained glass can tell people a story in ways other glass can’t. Furthermore, it can appear in windows, but also door panels, lampshades and more. People view it as luxurious and visually interesting, even in its simplest form of basic colored shapes. 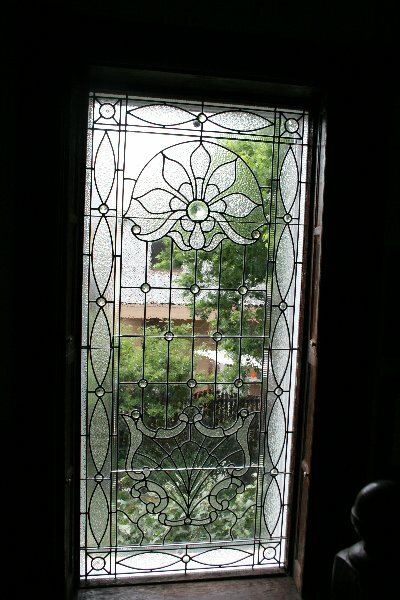 So why not add some glorious stained glass to your home? 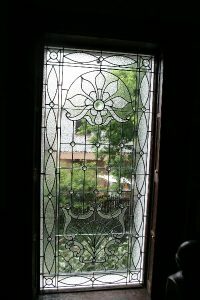 Cumberland Stained Glass is the company who can make that happen; please call 717-691-8290 for more information.